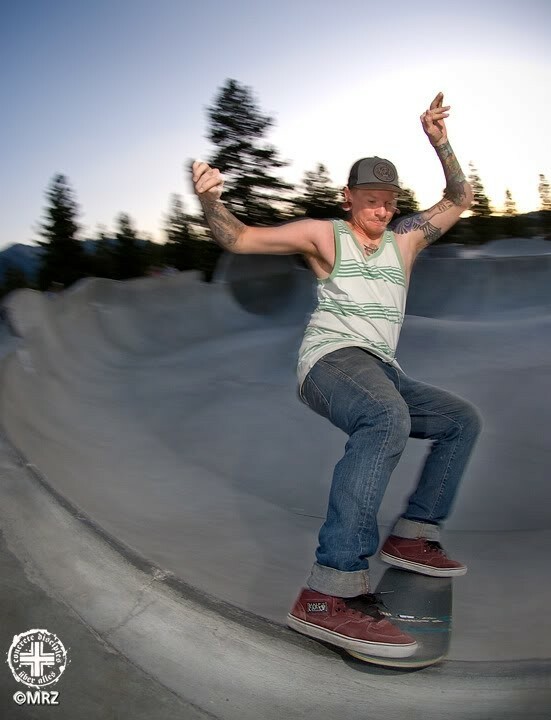 The Volcom Brothers Skatepark - Mammoth Lakes, California, U.S.A. Wagon Wheel Rd. and Meridian Blvd. Take HWY 395 North or South to the HWY203 (Minaret Rd.) and go West towards Mammoth. Turn left onto Meridian Blvd. and drive around the curve and it's on your right hand side. Parking is available. Super sick giant skatepark. Super sick giant skatepark. An absolute monument to skateboarding! This park is a concrete paradise for most all skateboarders (except Freestyler's) with tons and tons of terrain to choose from. 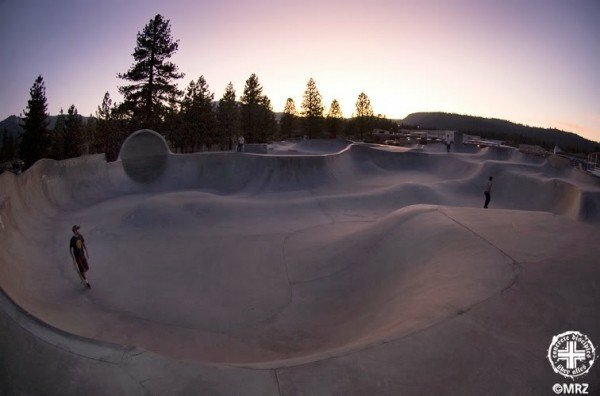 This park is one of the best of California with out a doubt! Ride some rocks, a massive cradle, ditch, vert bowl, flat box, ledges, gap, love seat, over vert, cinderblock tombstone, pump bumps, pool coping. I've skated parks all around California and I keep coming back to this one this one as my favorite. It's a VT where no 2 transitions are the same. It has endless lines, pool copping on everything, and a solid mixture of natural features mixed into the concrete. The street course is pretty minimal but it still has plenty of options and you don't really come to a park like this to skate street. One thing to note the description is wrong however. Bikes are not allowed (you will get a ticketed), and while the occasional bikes do sneak in it's typically discouraged by the skaters, more so when the park is crowded. ONE OF THE SICKEST PARKS EVER!! !